On Monday 12th November, comic-book writer and pop cultural icon Stan Lee sadly passed away at the age of 95. 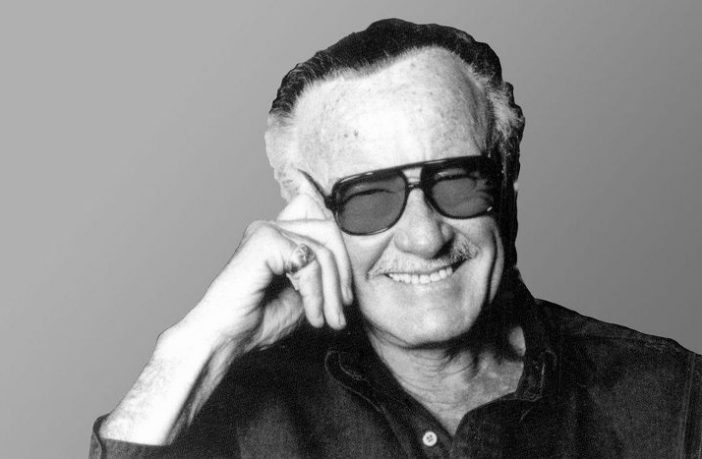 Adeptly known as ‘Stan The Man’, his most notable accolade is the creation of Marvel Comics, as well as many loved characters alongside Jack Kirby & Steve Ditko, including Spider-Man, X-Men, The Hulk, Fantastic 4, Black Panther, Doctor Strange and Daredevil, alongside contributing to Captain America, Iron Man, Thor and Ant-Man. What Lee seemed to do with all his publishing works, is provide a real sense of community and togetherness within his readers, who could relate to seemingly flawed and interesting characters that have spanned across decades and generations. Transitioning these characters onto the big screen of cinema, Lee became famous for his cameos in Marvel movies, with viewers anticipating where he’d appear in the narrative. 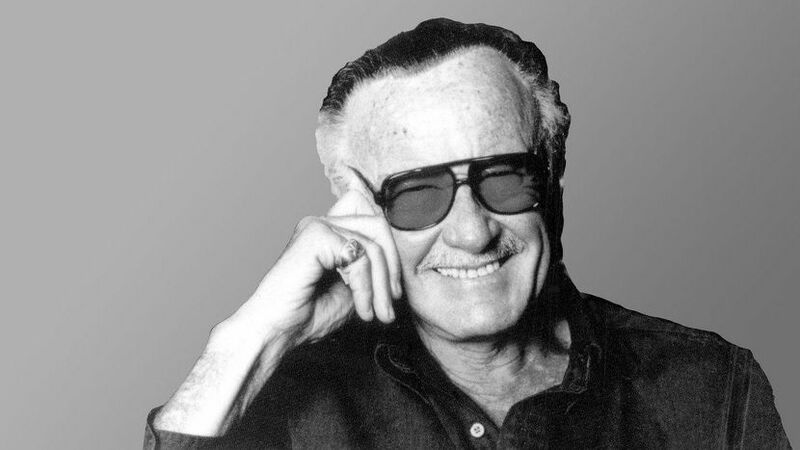 Another association of Stan’s was his catchphrase “Excelsior”, which he often signed off work with and said in various film and games appearances. Sadly, Lee tragically lost his wife Joan last July after 69 years of marriage. 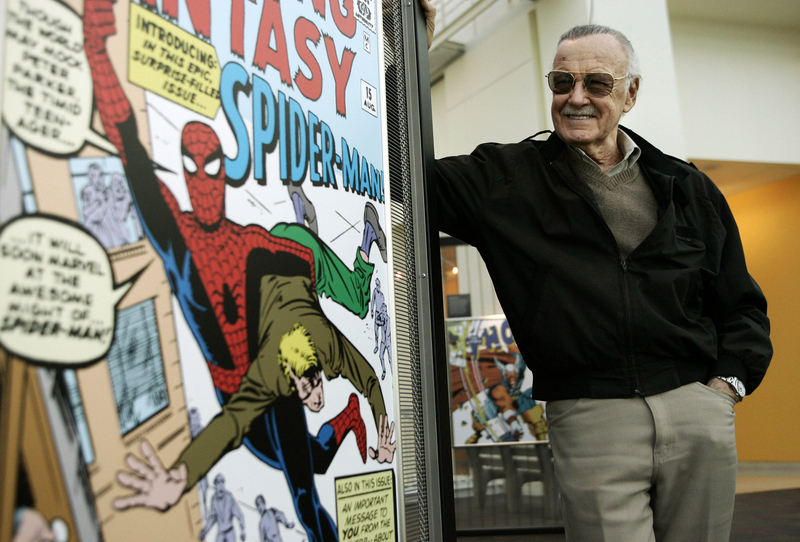 Stan Lee next to a cover of one of Spider-Man comics. The outpouring of tributes, as expected, were astronomical, with Chris Evans, who plays Captain America tweeting “There will never be another Stan Lee. For decades he provided both young and old with adventure, escape, comfort, confidence, inspiration, strength, friendship and joy. He exuded love and kindness and will leave an indelible mark on so, so, so many lives. Excelsior!!”. Marvel Studios President Kevin Fiege saying “No one has had more of an impact on my career and everything we do at Marvel Studios than Stan Lee. Stan leaves an extraordinary legacy that will outlive us all. Our thoughts are with his daughter, his family, and his millions of fans. #ThankYouStan #Excelsior!”. On Instagram, Iron Man actor Robert Downey Jr. added “I owe it all to you, Rest in Peace Stan #excelsior”; something I think we all do. His work affects and impacts everyone in different ways, but for me, his creation of Spider-Man & Peter Parker will have a lasting hold on myself. To create a character who has to face so much at a young age and handle so many different outlets of responsibility is something very relatable, and something I am very thankful for. The world will mourn the loss of a man who brought so much joy and happiness to so many. But his work and legacy will stand a lifetime, and it won’t be long before mourning turns into an eternity of celebration.